At Hutton + Rostron we specialise in comprehensive investigations and analysis of buildings, including all forms of heritage properties. As leading experts in building pathology, we have expertise in utilising a range of different technologies in order to provide the best possible information, advice and guidance to our clients. To fully investigate buildings and their materials we often carry out drone surveys – to take high quality aerial photographs and inspect features that would be challenging to access. 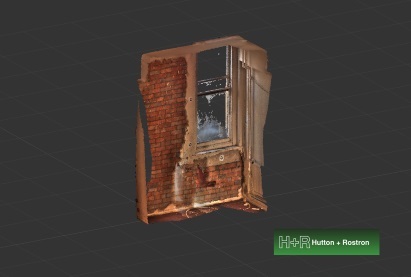 We can also use a 3D scanner to create highly detailed 2D and 3D drawings as well as very accurate computer reproductions to aid our investigations. We also value non-destructive techniques such as ground penetrating radar which can be used to map inaccessible or hidden voids within a property, as well as for a range of other uses. We would be happy to provide more information on the range of technologies we work with to provide our clients with the best possible service.